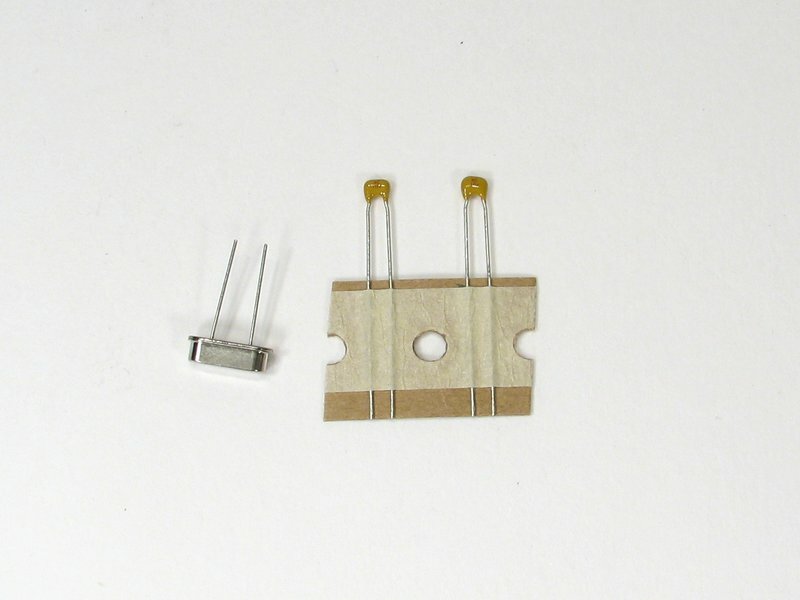 Each set consists of one 16 MHz crystal oscillator plus two 18 pF capacitors. Each set consists of one 16 MHz crystal oscillator plus two 18 pF capacitors that are normally needed along with it. By the each or in a 5-pack. Useful for ATmegaXX8 target boards, 2313 target boards and many other projects. Also useful if you want to build up your own Arduino-compatible boards, since those usually expect a 16 MHz oscillator. 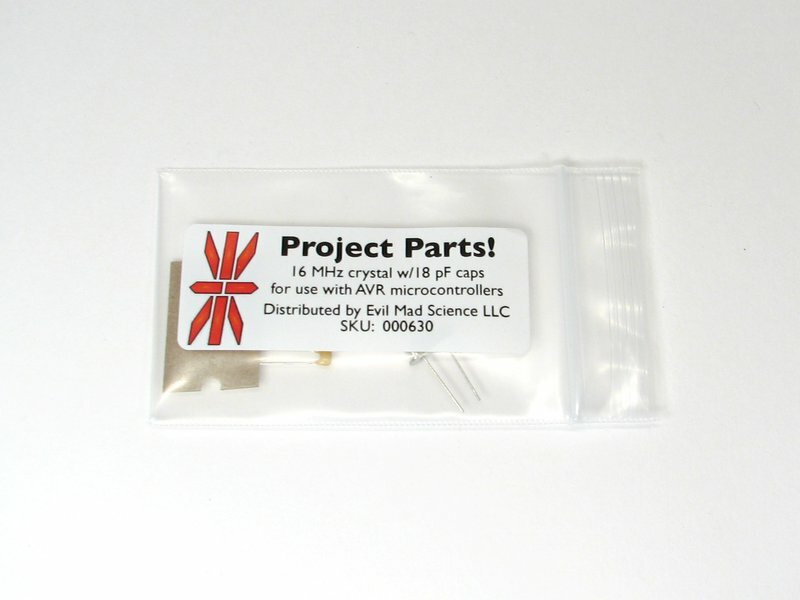 We include these same crystals with our own Arduino-compatible kits, including Diavolino, Peggy 2, Bulbdial, and Meggy Jr RGB.